Glue Ear is a common condition among young children but until recently its long-term effects on learning and achievement weren't fully understood. Lindsay's research has demonstrated that there is a significant link between Glue Ear, speech and language and dyslexia. 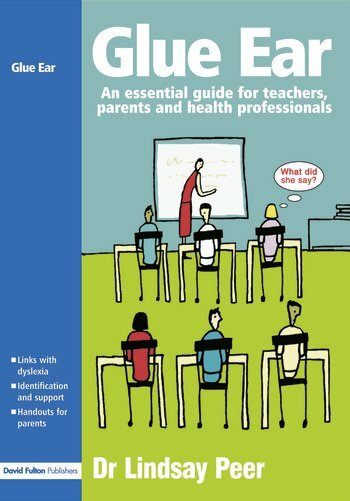 This book will help teachers to understand the implications of temporary hearing loss, and demonstrate how to be proactive as well as reactive in tackling the issues. This book will also be helpful to health professionals who may be aware of the medical implications of Glue Ear but not the educational reverberations. A separate section for parents enables teachers/health visitors/GPs to access information to copy and give out to families.